Welcome to my book-turned-blog: Adventures in Pin Loom Weaving! Click on the BLOG button above to see the latest weaving patterns and other useful info. 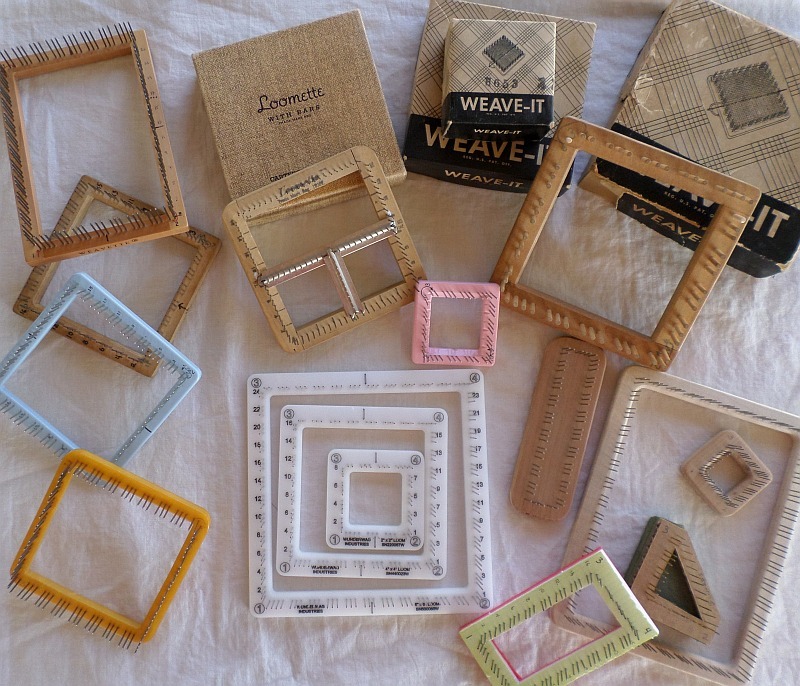 A small sampling of pin looms, including my first one (the blue Weave-It), a 4″ x 6″ Weavette, Loomette (with bars), Weave-It rug loom (which I don’t have much use for), several homemade looms, and a set of Wunderwag Industries looms (shown in white; they’re also available as triangles; see below).